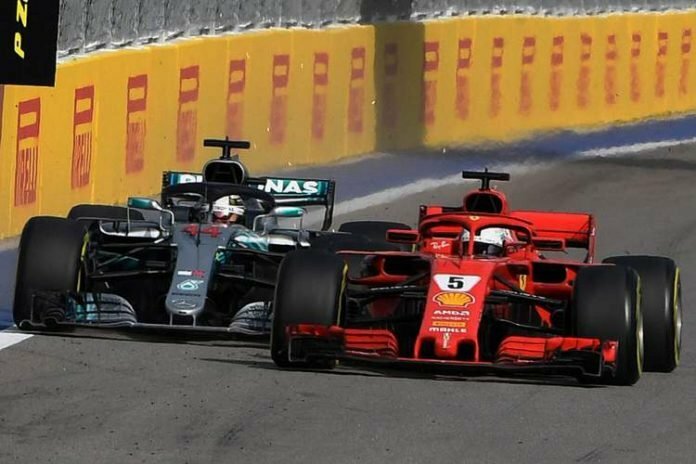 Lewis Hamilton says he doesn’t understand why some drivers are allowed to make two defensive moves, as he believes Sebastian Vettel did during their fight for position in Russia. Hamilton claimed Vettel made an “illegal manoeuvre” approaching turn two while he was trying to pass the Ferrari during Sunday’s race. He passed his rival two corners later. 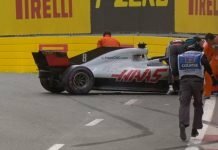 The stewards decided Vettel’s driving “did not constitute two significant changes in direction”, but Hamilton believes the rules were not enforced consistently. “The same rules are not always applied to certain things,” he said today. “As far as I’m aware when I drive down the straight I’m not allowed to move twice. But there are drivers that do move twice and nothing happens to them. And maybe there are some drivers that move twice and something has happened to them. 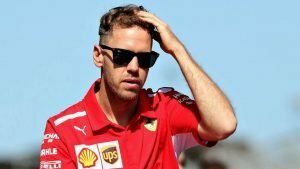 FIA race director Charlie Whiting said he reported Vettel’s move to the stewards for them to investigate during the race before Mercedes complained about it. 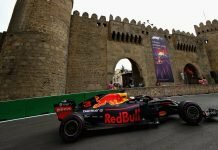 “How I see it doesn’t really matter, it’s how the stewards see it, of course,” he pointed out following the race on Sunday.“I think they felt that in all reality it didn’t constitute two changes of direction which is what the regulations require for a penalty. So I think they took a slightly lenient view on that. 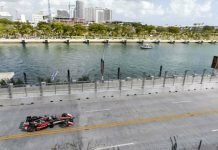 Lewis Hamilton said he was convinced the pair were going to collide at high speed when Vettel covered off the inside of the corner. 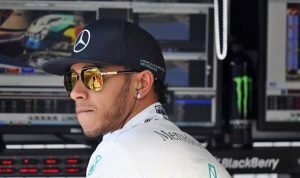 “It’s difficult to realise, we were doing two hundred and something miles per hour and things happen so fast at those speeds,” said Hamilton. “I thought we were going to crash.